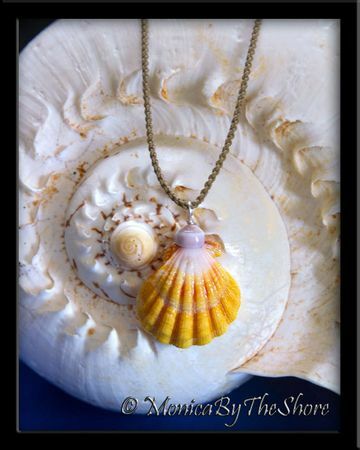 An extra large brightly colored Hawaiian Sunrise Shell topped with a purple North Shore Puka Shell! 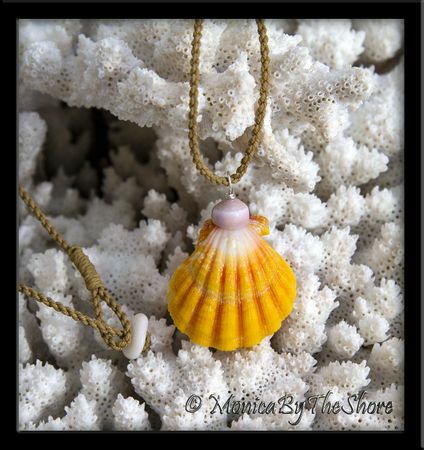 This "Country Style" seashell pendant in bold yellow, bright white and hints of pink near the crown drapes from a natural colored twisted waxed cord 22 inch necklace (can be shortened to any length), and has a Puka Shell and loop closure. This beautiful Sunrise Shell has a very well defined growth ring "double bump", and is generously sized at 1 3/8 inch! Perfect for either a man or woman, and to be worn with Aloha and a smile!